I think the best way to explain why we do what we do is through a little story. I was lucky enough to go back to Kenya this January for our Master Trainer programme funded by the Forward Foundation. In this programme we’re training 15 of the best Kenyans that we’ve supported so far to become ‘Master Trainers’ and go out and train other Kenyans in business and entrepreneurship. The sessions go from 9:30am to 4:30pm for 2 weeks so we bring in a number of snacks and drinks to keep the energy levels high. I arrived at the start of the second week and was delighted and bit surprised when during the morning break a group that we funded last time brought in coffee and tea for the Master Trainers. I knew they were doing this business but I never imagined they would be so professional. 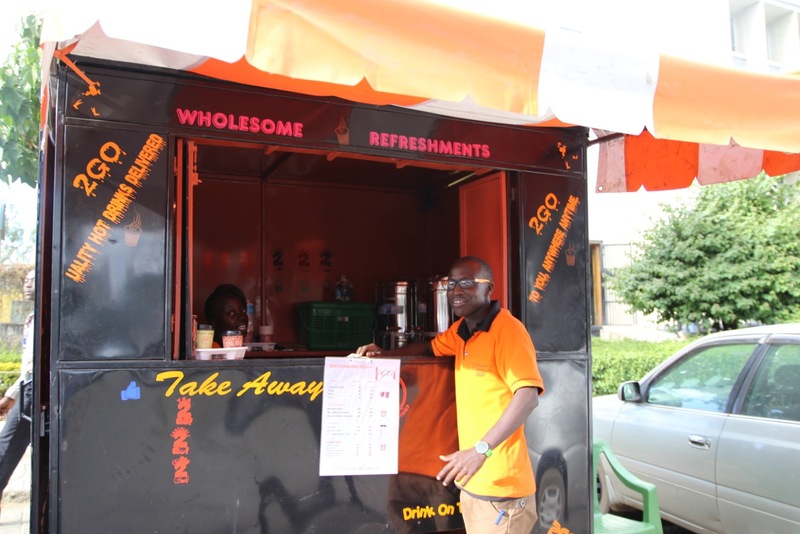 They were bang on time with everyone’s order, had branded t-shirts with a nice logo ‘2-GO’ and one of them had even purchased glasses with orange rims, matching their company colours! They had constructed out of metal a clever cup holder to transport multiple drinks and everything tasted great and looked great in high quality paper cups. Keen to learn more, later that day I went to visit the cart where they sold the coffee and again I was so impressed with the finish and overall look. When I turned up the girl managing it was keeping their financial records which is rare in Kenya and she could tell me exactly how much they’d sold that day and week. They were also always thinking and looking to improve. Because it was dry season hot drinks weren’t selling as well as expected so they decided to fruit smoothies to ‘2 GO’. I also chatted with the manager who had been experimenting all day with new recipes. He had ideas to introduce speciality teas like peppermint and green tea which would be a first in town. A day after introducing fruit smoothies they were selling out! The reason I love this case study so much is because it perfectly highlights our vision. Firstly, we want to encourage innovation. Streets of vendors in Kenya are selling the same things in the same way which makes it very hard to grow any business. But this group of young people are the first selling takeaway coffee to a mass audience. They are also constantly thinking about what they can do differently. And this business really has a real chance to scale and maybe even franchise. So I’m proud of our training for helping them get to this stage. But secondly, innovation is nothing without funding. If you want to try something new there is a high risk that it might fail. And a funder needs to accept that. 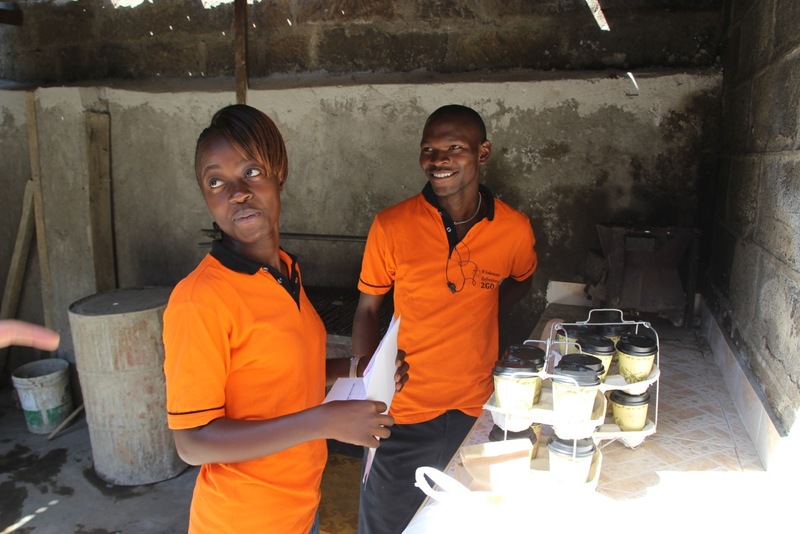 In Kenya the main micro-business funding options are the banks or micro-finance institutions. But these organisations cannot afford to make ‘risky’ investments because their business model requires a 96%+ repayment rate. So this is where we come in. Our curriculum and content helps entrepreneurs to innovate and teaches them some skills and tools to test and develop these innovations. And then where they show real commitment we put up the money and take on the financial risk. And when it works, it’s great!